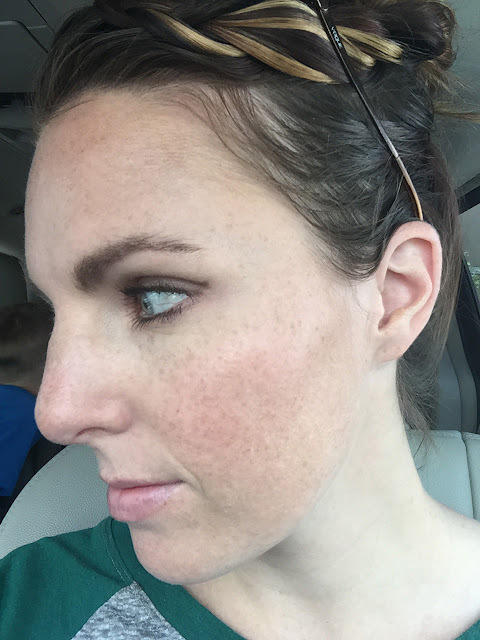 Freckles in April: I Used Retinol for 6 Months. And Now I'm Writing About It. I Used Retinol for 6 Months. And Now I'm Writing About It. When I was pregnant with The Caboose my skin looked pretty darn good. The weight gain seemed to plump up and smooth out my fine lines and old acne scarring while the hormones were apparently at just the right levels to keep zits at bay. And then post partum happened. 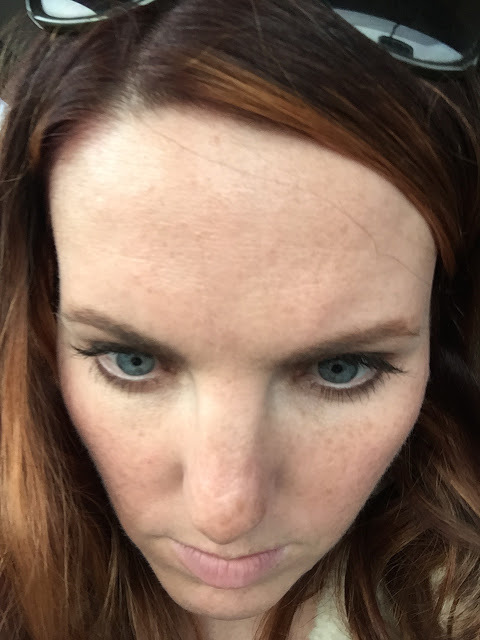 The hormone drop caused crazy breakouts on my face and neck. As the weight started to come off, my facial lines and scars became prominent again and I started to look haggard (I'm sure the sleep deprivation didn't help anything). It wasn't pretty. I took passenger seat car selfies to prove it. You're welcome. Finally, at about three and a half months post partum I decided to invest in some grown-up skincare. I was closing in on 30 and it was time. I got a Clarisonic Mia (I had a regular Clarisonic a while back and quite liked it but I stopped using it for some reason and it no longer worked when I dug it up) and started researching various serums. I finally decided on Azure Naturals Retinol and Vitamin C serums. Based on my research I also decided that, short of an allergic reaction, I would commit to using the stuff for 6 months since that seems to be the magic point at which most people really see a difference. The first month was rough. Retinol likes to cause all your budding blemishes to come out at one time and party like it's 1999 (which, incidentally, was a terrible year for my poor teenage skin). It was miserable but at least I knew it was coming and didn't chicken out. My skin tone is naturally fairly ruddy but I got REALLY red. I spent a few days wondering when I had been in the sun long enough to get that kind of sunburn before remembering that retinol can cause redness due to irritation. Color correcting primer became my new BFF. Mercifully (and surprisingly) I did NOT dry out, which is a common side effect of retinol. I'm wondering if that's due to the non-prescription strength of my serum? No idea. 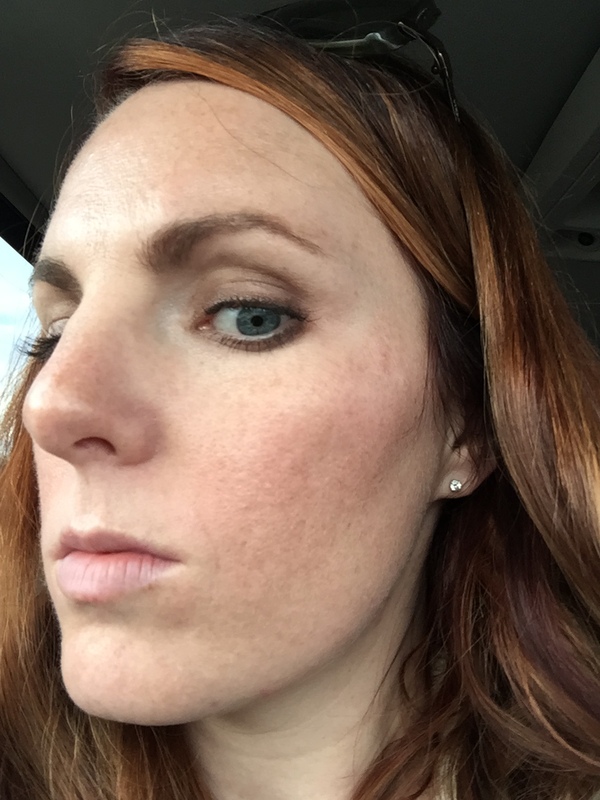 At the end of the first month I didn't see any visible difference but one night toward the end of the month as I put on my moisturizer I realized my skin felt crazy soft. I'll take it. I was still quite red this month, though I felt like it toned down a smidge. I broke out occasionally but I felt like any spots had an accelerated life cycle, which kind of makes sense since retinol helps your skin cells turn over more quickly, and they generally cleared up before I had the chance to get too annoyed. Toward the end of the month I started pausing in front of mirrors to check if my lines and scars were starting to soften. It was subtle, but I thought that maaaybe they were starting to look better? At this point I also added in some regular masks to help combat the breakouts. I started using my favorite bentonite clay mask much more frequently and occasionally did this pumpkin enzyme mask or this exfoliating peel. They're a bit pricey so I use them sparingly but I LOVE both masks. * When I wanted a gentler (and cheaper!) pick-me-up, I used a Que Bella Beauty mask. *A note: my skin is NOT sensitive (an esthetician once compared it to rhino hide, so there's that) and can handle pretty heavy duty exfoliation along with retinol but not everyone's can. Proceed with caution when pairing retinol with anything. I started to get rather annoyed during month 3. More hormone fluctuations caused congestion and breakouts that made me really cranky plus my skin was still quite reddish. I felt like I looked really terrible when I didn't wear makeup (which was most days). I changed my birth control and briefly stepped back my use of retinol to every other night and added my old benzoyl peroxide cream on the nights inbetween. 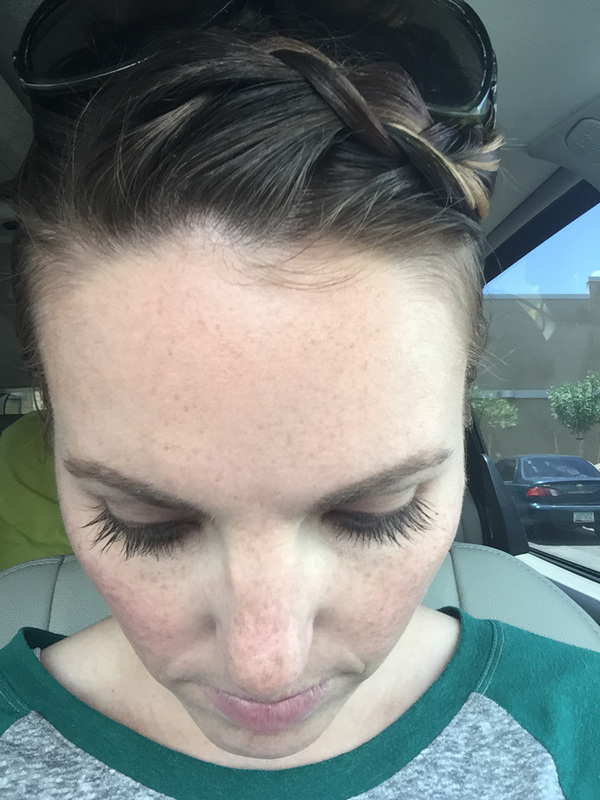 Within a couple weeks things seemed to be back under control and I went back to nightly retinol usage. Sometime in the middle of the month I got really tired of the amount of TIME it took to do my whole routine at night. I'd use my clarisonic to wash and then maybe do a mask and then do my vitamin C serum and wait 15ish minutes for it to sink in and then do my retinol serum and then wait 15ish minutes for it to sink in and then do my moisturizer before I could finally go to bed. It was ridiculous. I moved my vitamin C serum to the morning and, after washing, just mixed a pump of whichever serum with a fingertip full of my moisturizer, slathered it all over my face and neck and called it good. 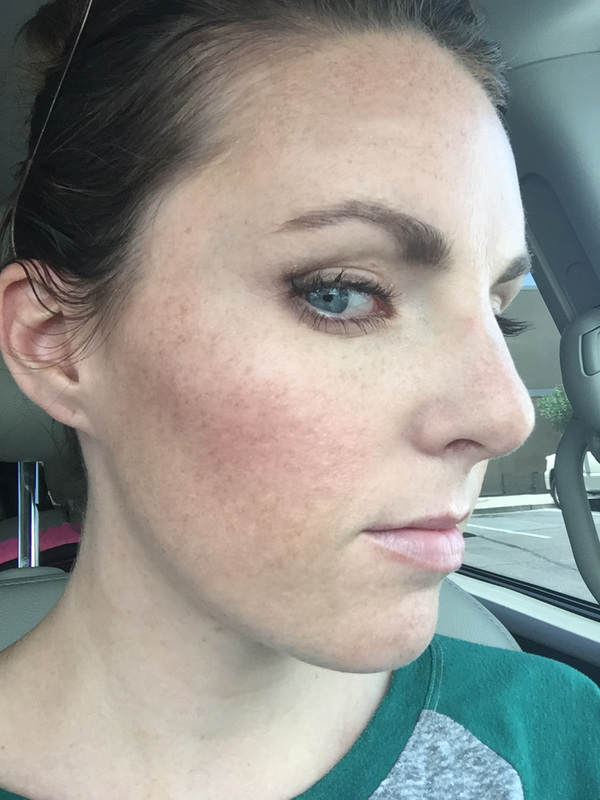 It was WAY faster and adding the lotion meant I was able to more easily stretch my serums onto my neck and decollete. By the end of the month I really felt like my skin was noticeably improving. One week into month 4 Aaron said, "I've noticed that your skin is looking REALLY good lately. Did you do something?" I started to explain what I changed but he glazed over. The important thing here is that he NOTICED. More skin compliments! 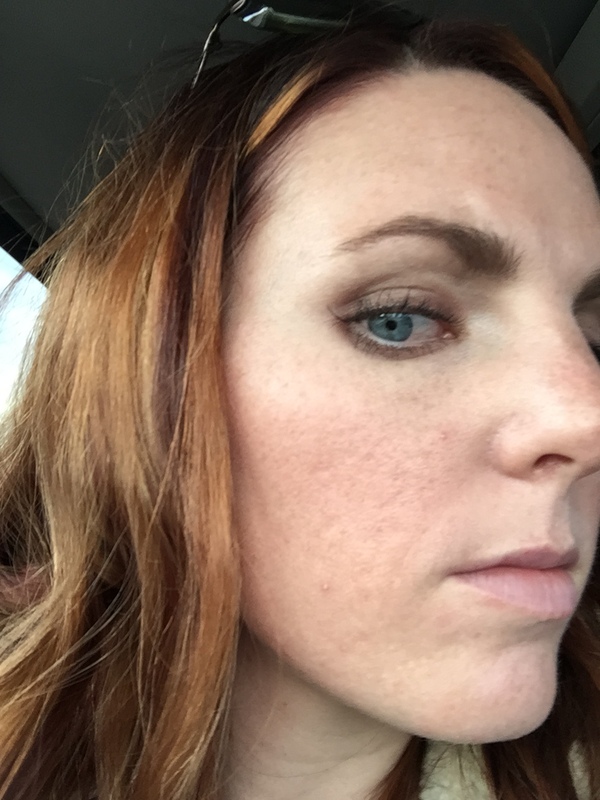 I still felt like I needed my color correcting primer this month but my skin was not nearly so red. The only breakout I got was when I had to borrow sunscreen from a friend and my skin REALLY didn't like it. It cleared up quickly though, as my breakouts generally seem to do these days. It occurred to me about halfway through the month that I haven't seen a blackhead in ages. My forehead line has really faded. Woot, I made it through a full six months! I did have to step back my retinol usage a LOT this last month though since I've been on 3 trips that included a ton of sun exposure (retinol increases sun sensitivity so I was really careful to avoid using it when I knew I'd be in the sun more than usual). Still, I've used it almost nightly for the past 6 months so I feel like I can confidently say whether or not retinol is worth keeping in my routine. Short answer: Yes, it's worth keeping. Long answer: The one I got is fine but I think I'd like to try a bigger gun. I'm due for a dermatologist appointment anyway (family history of skin cancer and all. Gotta get looked over) and I'd like to talk about getting a prescription strength retinol. I definitely saw improvement but there's room for more and I'm not getting any younger. Worth a try, right? Still a bit reddish but definitely better! PLUS no more weird neck breakouts. Also, for all the people who are like, "Freckles? You don't have any freckles!" See above. Have you tried retinol? What were your thoughts? 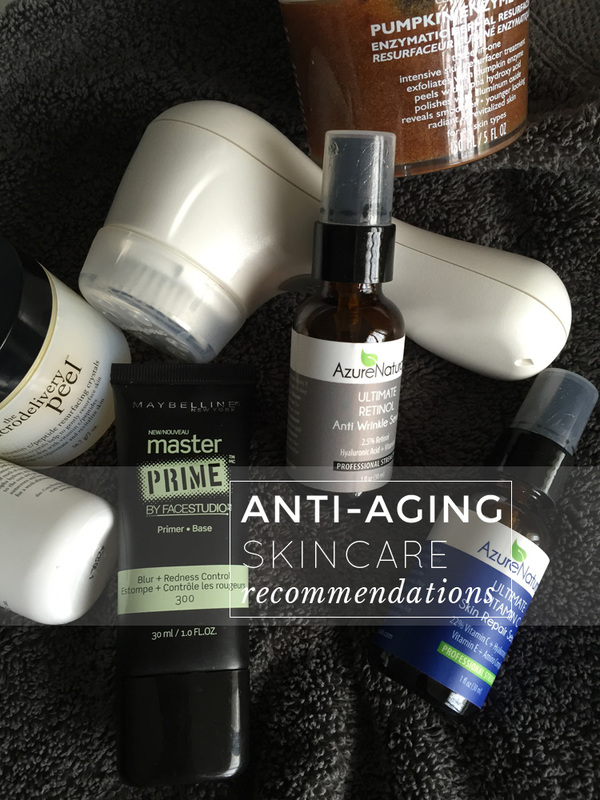 What are your favorite retinol and anti-aging products? Have you done prescription strength? Tell me allll about it please. by the way, wow! you're results are amazing! Thanks to this post I finally decided to see if I could figure out what in the tarnation was happening to my face. I've had the weirdest pigmentation for a few years now, I kind of hoped no one noticed but when I went in and got a facial the lady was basically like "ew! What is wrong with you!" So just now after googling I think I have "melasma". I bought the vitamin c serum and a couple other potions that are supposed to help fade it. I've gone from using a face wash wipe to this whole intense regimen, hopefully I get results as awesome as yours! Thanks for the inspiration!